Sound Equine Veterinary Hospital offers a student externship program that provides both clinical and ambulatory experience for veterinary students only. Our client base spans a wide variety of disciplines and are quite educated and willing to take advantage of the latest that equine medicine has to offer. The benefit of an externship at a private practice as opposed to a larger hospital is that a student will receive much more one-on-one time with the veterinarian for both case discussion and patient care. Our staff veterinarians enjoy having students visit and have a wide breadth of knowledge to share. Since our clinic opened in Fall 2005, SEVH has welcomed and fostered the careers of many veterinary students. We are constantly investing in state of the art diagnostic and therapeutic options for our clients. We have good professional relations with referring veterinarians in the region and strive towards a progressive and excellent standard of care. Typically the externships last from 2-3 weeks. Students are asked to participate in after hours emergencies and assist with in-clinic patient care as well as ambulatory appointments. SEVH limits the number of externships to two students at any given time. This enables us to give more experience and time to each individual student. Please contact us as soon as possible when setting up externships as space is limited. The practice is busiest from February through October. Application requirements include a letter of intent, resume and at least two letter of recommendation from an equine veterinarian (private practitioner or clinical professor). 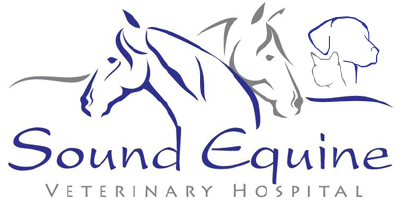 Please contact our office at office@soundequinevet.com to inquire further.